connects people and brings communities together. 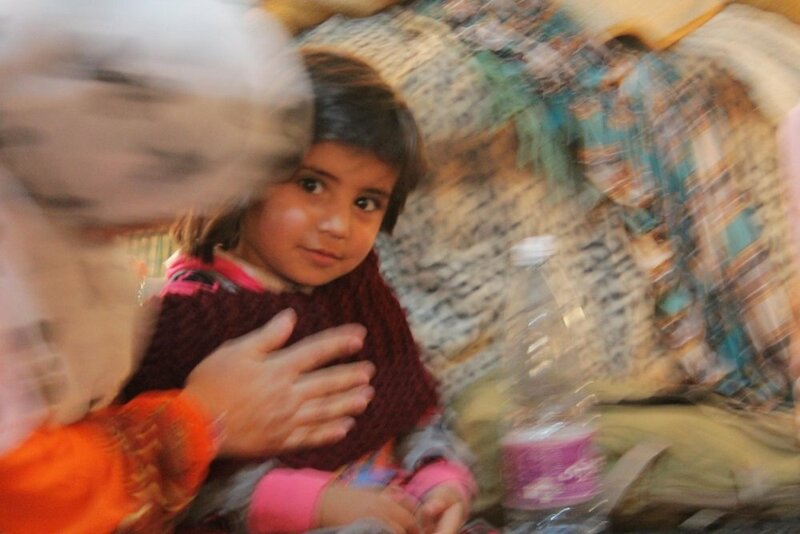 We collect and distribute much-needed quality knitted and crocheted donations to displaced people living cold and harsh conditions in camps all across Europe and the Middle East. Since our first drop off of knitted donations to Calais in 2015 we have extended our distribution to Dunkirk, Paris, various locations in Greece, Italy, Turkey, Lebanon, Jordan and Syria. We've collected thousands of donations from knitters all over the world – knitters in Europe, Asia, Americas and Australia. 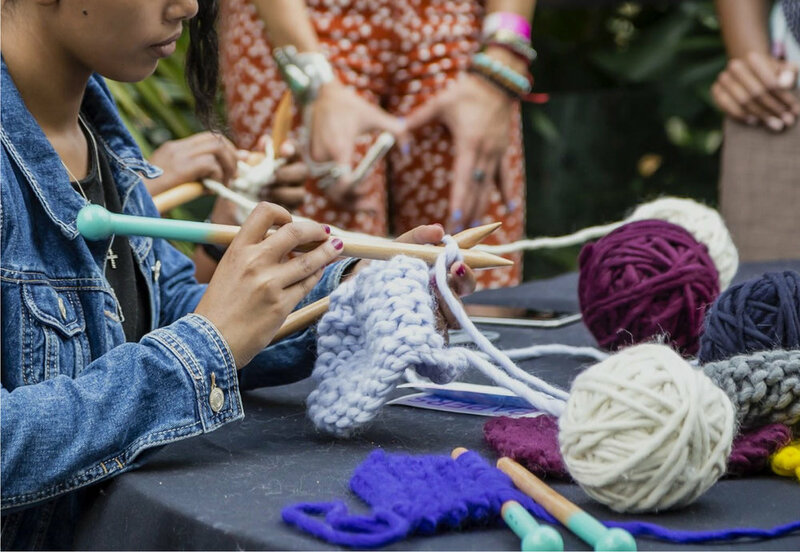 Communities come together to knit for us, businesses knit for us as in teams, schools weave us into their syllabuses and extra curricular activities. in camps across Europe and the Middle East. We believe everyone deserves to have access to clothing of the quality we'd make for ourselves That's why we ask our knitters to make donations using their best, most comfortable yarn, and include a message with their donation. In addition to collecting and distributing knitting donations, we send knit kits into camps to empower refugees to make their own garments, which are often sold to help sustain themselves and their families. 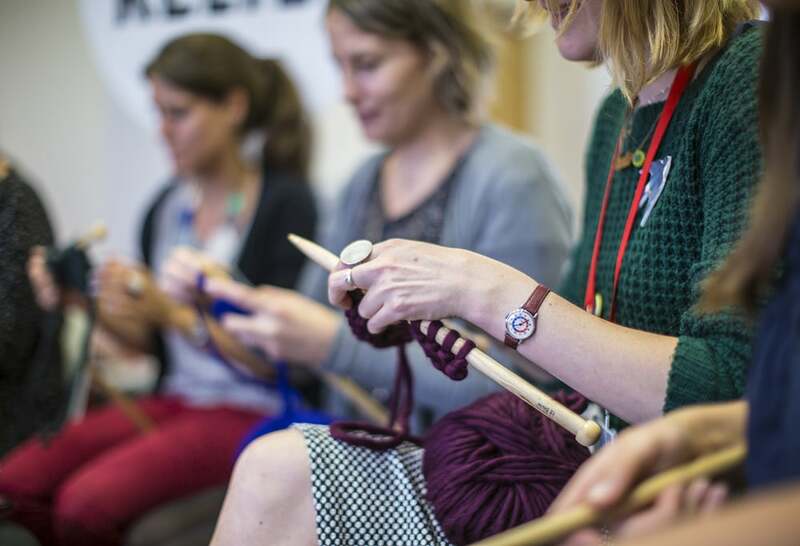 We also run knitting workshops for resettled young refugees in London, to help with social integration, language skills, craft skills, and help battle isolation and depression. 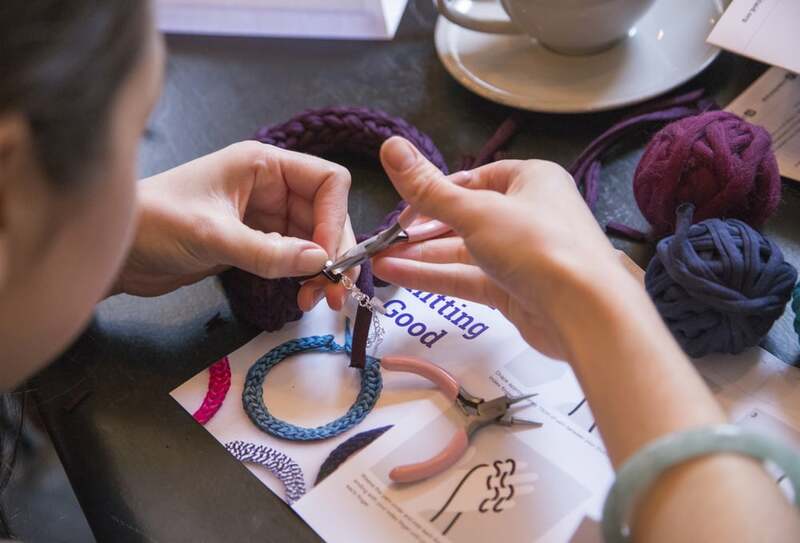 To help us fund the work we do, we sell knitting patterns on our website, our exclusive Knit Aid knitting needles, and we even hold a yearly Glamp and Knit Retreat for a beautifully relaxing weekend away where our knitters get the chance to meet us, knit for us, learn new skills and learn more about what we do. As of September 2017, and due to popular demand from our US based knitters, we've now opened Knit Aid USA based in New York. We have regular donation collections, particularly at our UK base. Follow us on Facebook and Instagram for all our latest updates. Shahnaz is a Graphic Designer, mum and compulsive knitter. In the summer of 2015, she decided to use up some of the quality yarn she'd been hoarding to knit up warm beanies and snoods to send to refugees living in the Calais ‘Jungle’. She opened a Knit Aid Facebook page to see if anyone else would like to join her and it instantly grew in popularity. The knitted donations came flooding in from all over the UK and the world, and it wasn’t long before the rest – brand, website, workshops, merchandise – developed rapidly. Thankfully, it also wasn’t long before she met Karen who helped her continue building it. When Shahnaz isn’t busy with Knit Aid or looking after her little one, she works for a youth marketing agency whose purpose is to benefit young people in London and across the UK. In September 2015 Karen ran an event called 'Knit for Calais' which aimed to collect as many knitted hats to send to refugees as possible. The response was overwhelming and she ended up with hundreds of hats to send over to camps in Europe. Karen wanted to continue running similar events, and it was around this time she discovered Knit Aid. Karen lives just down the road (well, train track) from Shahnaz and both share a vision for using knitting as a force for good. It was a no brainer to join forces and build Knit Aid together. In addition to helping run Knit Aid, Karen works for a charity which advocates for voluntary and community based mental health services for young people across the country. We rely on our fundraiser to help pay for our storage and distribution costs. You can make a one-off donation or help to fundraise for us in a few different ways with your friends and families. We will have a fundraiser pack coming soon! Meanwhile, you are welcome to contact us if you have any fundraising idea queries. Knit Aid is a non-profit social enterprise. All of the profits from our products and workshops go towards funding the work we do. 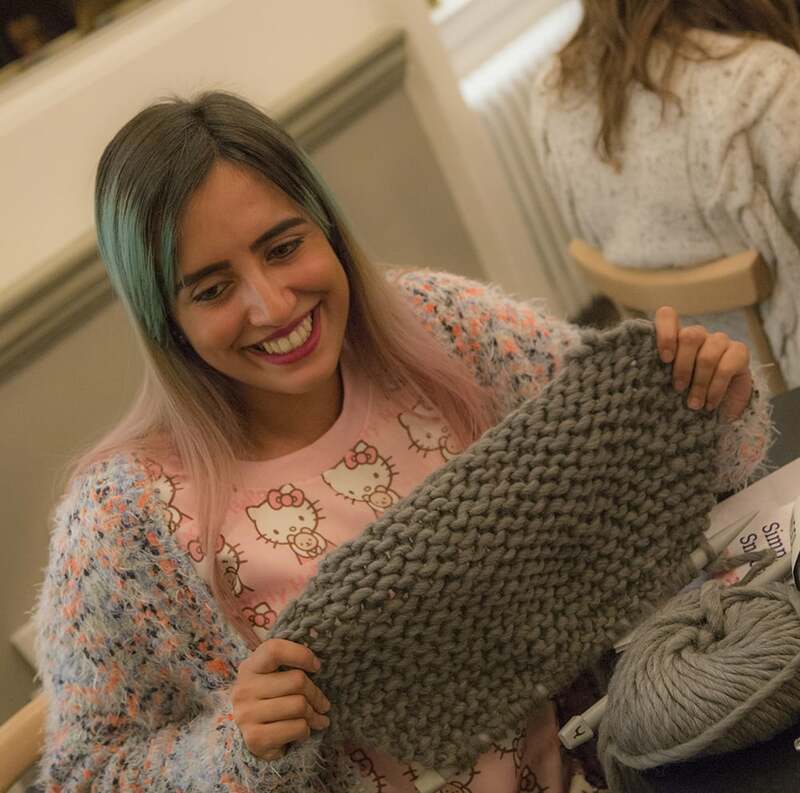 So, whether you purchase one of our instantly downloadable knitting patterns or our unique knitting needles, every penny goes towards helping us to make a difference to refugees through the wonderful craft of knitting.